John C. Oxley’s Strike Silver has the $1 million Breeders’ Cup Juvenile Turf Sprint on his calendar after clinching a fees-paid slot with his triumph in Sunday’s $200,000 Indian Summer. The inaugural running of the Juvenile Turf Sprint will be at Churchill Downs on Nov. 2. The Indian Summer marked the turf debut for Strike Silver, who won his career debut at Churchill in June and was a close second in the Sanford (G3) at Saratoga in July. Trainer Wesley Ward was pleased with the second-place effort by Hat Creek Racing’s Chelsea Cloisters in the Indian Summer. “You look like you’re a winner and then you get nailed at the wire,” Ward said. Trainer Jorge Abreu, who went out on his own in 2016 and saddled his first Keeneland winner this spring, will be gunning for his first Keeneland stakes victory Wednesday when he sends out two runners in the 28th running of the $200,000 JPMorgan Chase Jessamine (G2) for 2-year-old fillies going 1 1/16 miles on the turf. Representing Abreu will be Steve Weston’s Moravia (GB) and NY Final Furlong Racing Stable and Maspeth Stable’s Espresso Shot in the stakes, a Breeders’ Cup Challenge race that awards the winner a fees-paid berth in the $1 million Breeders’ Cup Juvenile Fillies Turf (G1) at Churchill Downs on Nov. 2. Moravia has made all four of her starts in Ireland with a maiden victory and a Group 3 runner-up finish coming at Leopardstown, the latter being her most recent start July 26. The acclimation process for Moravia has gone well. “I like what I have seen and she has trained really well since we got here,” Abreu said of the filly, who last worked Sept. 29 at Saratoga. Manny Franco will have the mount Wednesday. Flavien Prat comes in from California to ride Espresso Shot, who comes into the race off a maiden victory at Belmont Park on Sept. 14. A trio of “Win and You’re In” Challenge races are on tap Saturday at Leopardstown in Dublin, with the $1.493 million QIPCO Irish Champion and the presence of heavy favorite Qatar Racing’s Roaring Lion serving as the main attraction. Run at 1 ¼ miles, the Irish Champion will offer an automatic starting berth into the Longines Breeders’ Cup Turf, a race Roaring Lion qualified for when he won York’s Juddmonte International (GI) August 22 for trainer John Gosden. The 3-year-old son of Kitten’s Joy rates as Europe’s best male turf horse off successive wins in Sandown’s Coral-Eclipse (GI) in July and the Juddmonte International and will bring a 6-for-10 lifetime mark to the Irish Champion, in which he’s trading as a stiff 5-4 favorite among European punters. The Coolmore conglomerate of Mrs. John Magnier, Derrick Smith and Michael Tabor’s Saxon Warrior (JPN) will have another crack at Roaring Lion after running second and fourth to him, respectively, at Sandown and York. The 3-year-old son of Deep Impact (JPN) won the 2000 Guineas (GI) at Newmarket in May for trainer Aidan O’Brien and is 4-for-8 lifetime. Flaxman Stable Ireland’s homebred Study of Man (IRE) is also expected for trainer Pasqual Bary and is garnering a bit of support off his French Derby (GI) win at Chantilly in June. Benbatl (GB), Cliffs of Moher (IRE), Crystal Ocean (GB), Lancaster Bomber and Magic Wand (IRE) could also run in the “Win and You’re In” QIPCO Irish Champion. The $418,142 Coolmore Fastnet Rock Matron (GI), run at 1-mile, will award an automatic starting berth into the Maker’s Mark Breeders’ Cup Filly & Mare Turf and, if Roaring Lion is Europe’s best male turf horse, then the Niarchos Family’s homebred Alpha Centauri (IRE) is clearly their best filly, if not best horse overall, as she’s blitzed her competition en route to a quarter of consecutive group I wins for trainer Jessica Harrington. The 3-year-old daughter of Mastercraftsman (IRE) came to prominence with a win in the Irish 1,000 Guineas (GI) at The Curragh in May then rattled off the Coronation at Royal Ascot in June, Falmouth at Newmarket in July and “Win and You’re In” Prix du Haras de-Fresnay-Le-Buffard Jacques le Marois at Deauville August 12 to earn an automatic berth into the Breeders’ Cup Mile. Alpha Centauri is 6-for-9 lifetime and is as low as 2-5 among the European punters. The imposing shadow that Alpha Centauri casts could keep the field for the Matron at a minimum, with John Dance’s LAURENS (FR), who won the Prix Saint-Alary (GI) at Longchamp in May and French Oaks (GI) at Chantilly in June serving as the perceived main danger for trainer Karl Burke. Coolmore could start group winners Clemmie (IRE), Magical (IRE), and Rhododendron (IRE) while group winner Veracious is also possible for the “Win and You’re In” Coolmore Fastnet Rock Matron. The “Win and You’re In” $179,204 KPMG Champions Juvenile (GII), run at 1-mile, will award an automatic starting berth into the Breeders’ Cup Juvenile Turf and is expected to draw overflow field with several up-and-coming 2-year-olds looking to announce their presence on the international scene. Godolphin’s Dark Vision (IRE) is undefeated in three starts for trainer Mark Johnston and impressed winning the Vintage (GII) at Glorious Goodwood July 31. The son of Dream Ahead has yet to be tested in any of his runs and could go favored over a potential field of 18 that is long on promise. Coolmore and O’Brien could run as many as eight, including Christmas (IRE), who was second to his highly touted stablemate Anthony Van Dyck (IRE) in The Curragh’s August 26 Futurity (GII), as well as Mount Everest (IRE), a son of 2003 Breeders’ Cup Mile winner Six Perfections (FR) who broke his maiden at The Curragh, as did Sydney Opera House (GB). The Aga Khan has homebreds Masaff (IRE) won on debut locally June 21 and Zuenoon (IRE), who is 2-for-3, and the Dermot Weld-trained pair could be ready for the rise in class. The “Win and You’re In” action in Ireland moves to The Curragh Racecourse in County Kildare Sunday as the $418,142 Derrinstown Stud Flying Five (GI) and $418,142 Moyglare Stud (GI) will award automatic starting berths into the Breeders’ Cup Turf Sprint and Breeders’ Cup Juvenile Fillies Turf, respectively. Global Racing Club and Mrs. E. Burke’s Havana Grey (GB) and Stephen Louch’s Caspian Prince (IRE), the 1-2 finishers in the Group 2, 5-furlong Sapphire Stakes at The Curragh on June 22 lead the way. Finsbury Square (IRE), Hit The Bid (AUS), Sioux Nation, Speak In Colours (GB) are also attracting lukewarm support for the “Win and You’re In” Derrinstown Stud Flying Five. The Moyglare, run at seven furlongs, figures to draw a crowd, with several from Coolmore and trainer Aidan O’Brien expected, as he could choose from Angelic Light, Banduic Ellie, Beyond Reason, Coral Beach, Fairyland, Fantasy, Hermosa, Just Wonderful and Peach Tree. Belmont Park’s Fall Championship Meet will feature seven Breeders’ Cup “Win and You’re In” qualifiers held over two outstanding weekends of thoroughbred racing. In all, 44 stakes worth more than $10 million and fan-friendly activities are among the highlights as live racing returns to downstate New York for Belmont’s 36-day meet, which runs from Friday, September 7 through Sunday, October 28. On Opening Day, Laurie Plesa’s Miz Mayhem will try for her sixth straight win in a field of 10 for Friday’s $100,000 Christiecat for sophomore fillies at six furlongs, the first of three stakes on tap opening weekend. Miz Mayhem, a Florida-bred by Yesbyjimminy, has been dominant in turf sprints since February, including a win against older fillies and mares in the Nicole’s Dream at Gulfstream in June and a 1 ¼-length score facing 3-year-olds last time out in the Stormy Blues on July 7 at Laurel Park. Miz Mayhem will make her first start for Jason Servis after moving from Edward Plesa, Jr.’s barn this summer. She will break from post 2 with regular rider Edgard Zayas aboard. Last year’s Christiecat-winning trainer Chad Brown will try for a duplicate effort on Friday when he saddles Lady Suebee, who will be ridden by Manny Franco from post 8. Lady Suebee, by First Defence, was third in the July 30 Coronation Cup last time out for Brown, who is fresh off winning his second training title at Saratoga with a record-setting 46 wins. Rounding out the field are Coronation Cup winner Broadway Run, Mominou, Closer Still, Factorofwon, Kitten’s Covergirl, Tesora, Streetlady, and Souper Striking. Lezendary is entered for the main track only. The stakes action will continue with the Christiecat’s counterpart for males, $100,000 Allied Forces on Saturday, and the $100,000 Royal Delta for fillies and mares at 1 1/16 miles on Sunday. First race post for opening weekend is at 1:30 p.m. ET. “Super Saturday,” September 29, will feature a trio of “Win and You’re In” races for the Breeders’ Cup World Championships to be held at Churchill Downs on November 2-3: the Grade 1, $750,000 Jockey Club Gold Cup for the Breeders’ Cup Classic; the Grade 1, $500,000 Joe Hirsch Turf Classic in the Turf division; and the Grade 1, $350,000 Vosburgh in the Sprint division. Also on the card is the Grade 3, $200,000 Pilgrim for 2-year-olds on the turf. The stakes action will continue on Sunday with the Grade 2, $200,000 Miss Grillo for 2-year-old fillies on the grass and the $200,000 Temperence Hill Invitational for older horses at 1 5/8 miles. 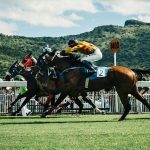 The lead up to the Breeders’ Cup will pick up again on the following Saturdaywith the Grade 1, $500,000 Champagne, a qualifier for the Juvenile on “Future Stars Friday” of Breeders’ Cup weekend. The program will also include the Grade 1, $400,000 Beldame for fillies and mares at 1 1/8 miles on the main track, the Grade 2, $500,000 Hill Prince for 3-year-olds on the turf, and the $150,000 Belmont Turf Sprint Invitational for 3-year-olds and up. Jockey Club Gold Cup Day will feature a special edition of Belmont Park Live, airing on MSG+ from 4-6 p.m., while NBC will have live coverage of Champagne Day beginning at 4:30 p.m. First post time is 12:30 p.m. ET on both September 29 and October 6. Three more Breeders’ Cup qualifiers will round out the weekend on Sunday, October 7. The Grade 1, $500,000 Flower Bowl and the Grade 1, $400,000 Frizette, awarding the winners an all-fees-paid berth into the Filly & Mare Turf and Juvenile Fillies divisions, respectively, while the $150,000 Futurity for juvenile sprinters, moved to the grass for the first time, will carry a berth into the inaugural running of the Breeders’ Cup Juvenile Turf Sprint. Sunday’s first post is at 1:30. The Grade 2, $200,000 Knickerbocker for 3-year-olds and up on the turf and the Grade 3, $150,000 Matron will highlight Belmont’s Columbus Day holiday program on Monday, October 8. 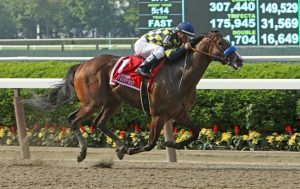 The Empire State will take the spotlight on Saturday, October 20, when the top New York-breds gather at Belmont Park to complete in eight stakes races worth $1.75 million, highlighted by the $300,000 Empire Classic at 1 1/8 miles. First post is 12:30. Live racing will be conducted Friday, Saturday and Sunday through September 16. Racing will move to a five-day week beginning September 19, Wednesdays through Sundays. General parking is free, and admission to Belmont Park is $5. 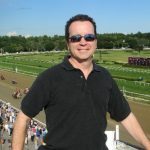 For more information, please visit NYRA.com.